Welcome to the blogging world. Every day new bloggers start blogging and today it's you. I just visited your blog and was excited about several things I read. You have some new ideas that will be popular across the genealogy community. Here are a few suggestions for making it easy for the community to access your content and participate in your conversation. Display: Make sure your blog layout is clean and easy to read and navigate. Backgrounds can be decorative, but should not detract from your primary content, which is print and images. Text is easiest to read when it large and dark on light. Take a cue from e-readers. Their popularity relies on e-ink and the ability to re-size the print for all eyes. Communication: After I read that post about...I tried to follow you, but couldn't find any way to do it. My favorite ways to follow currently are through Twitter and Google Reader. If you would put some nice big buttons at the top of your sidebar for following you on Twitter and for subscribing to your blog with an RSS feed, that would make it easier to keep up to date on what you are posting. Some readers will want to receive updates from your blog by email, so while you are at it, add a subscribe by email button. 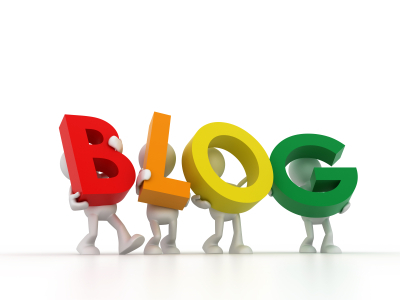 Conversation: Blog readers want to meet you. Make sure you post a little about yourself. You don't have to submit your dna, just introduce yourself as if you were at a party and meeting someone for the first time. Once I know who you are, I will be much more likely to participate in a conversation with you through your comment sections. I encourage you to look at their sites; make note of their designs and layouts and check out the different communication options they offer. Read or watch their tutorials for new bloggers. A New Blog: My favorite new blog, which perfectly displays all of the aforementioned criteria is Susan's Genealogy Blog. Susan's layout is pleasing to the eye and easy to navigate. It is decorative without being fussy. She offers multiple ways to keep up with her blog and gives us a peek at who she is. Plus her content is king, or queen, A+. If you need help making your blog more reader friendly, just let me know. Writing the content for your blog is just half of the fun. Talking with your readers and fellow bloggers is the other half. I want you to have all the fun you can! What a great post! I agree with all your points. May I add the following? Surnames: In addition to writing a little about yourself, include a tab (fixed page) where you list your surnames and/or locations. If I see a family name or location, I will be more likely to follow you. Proofread: Simple typos and grammatical errors make me less likely to want to follow your blog. Music: If you want to provide a musical background for a visitor to your blog, please offer an easy way to turn it off. I won't stay to read the post if there's music playing. Thanks for letting me share some additional thoughts. Good points I am struggling with my new template right now. The old one I lost my background and the new one is a mess. Rolling eyes. Hate changing. Good suggestions, Elizabeth, and I agree about the music. Pet peeve of mine too. Hummer, Starting over is a pain. You can never go wrong with super simple to start and add as you go. As a fairly new "blogger," it's a totally new world to me! Have been a bit put off recently, as no one seems to read them or make any comments. Hopefully, some of your tips might encourage me to have another go at it. Thankyou for a very useful blog. Although I haven't yet read it, there have been several positive reviews. Yeah, I have to reformat my header, needs to be much shorter. Just took a quick peek at your blog and can see all the way down to follow by email, so your good, but I agree that word section could be smaller. I think you go into blogger layout, then design and there is a place to do it. Excellent post and sage advice Jen! Thanks for taking a peek at my blog Jen. When I pull my blog up, I do not see down as far as you so that makes me feel a little better that readers can see down to follow by email. Great advice! I started a genealogy blog in July and am still tweaking it. As you suggested, I have found it very helpful to look at other blogs and see what folks have done. Then I go back and tweak mine some more :) The next thing I'd like to figure out how to do is a nice banner/header like I see on yours and others. Mine's kinda boring. I need to put some tabs on there, too (like one for surnames as Elizabeth suggested).